The L 410 UVP-E20 / L 420 aircraft, which is the latest and most advanced successor of the famous L 410 aircraft series, is a well proven 19 seat turboprop commuter aircraft with outstanding technical parameters and operational reliability, easy handling and simple maintenance. 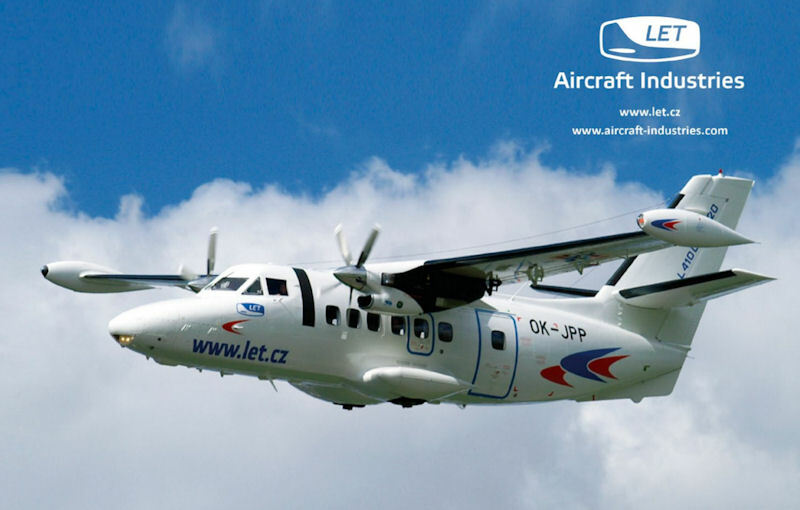 Development of the L-410 was started in the 1960s by the Czechoslovak aircraft manufacturer Let Kunovice. The Soviet airline Aeroflot was looking for a turboprop-powered replacement for the Antonov An-2 aircraft, initiating the design development by Let. The L-410 was based on a larger L-610, but only a few prototypes. In July 2015, the highly modernized L-410 NG was introduced, which was to have a larger range and load. The airplane manufacturer is currently Aircraft Industries, which bought the bankruptcy of the Kunovice Aircrafts in 2005, and renewed the production of the L-410 in the following year. In 2008, a Russian shareholder, a UGMK holding holding, who is the only owner today, joined the company. Russian concerns have also been linked to the complete transfer of L-410 to Russia. In September 2016 they began a strikes at the Kunov company. At the meeting with the then Minister of Industry and Trade Jan Mladek (CSSD), however, the Russian owners of Aircraft Indrustries promised that the production of the aircraft components would remain in the plant in Kunovice. The transport and transport airplane developed in the 1960s at Let Kunovice first flew on April 16, 1969. Over 1200 units have been produced so far, but in recent years, new aircraft have already been produced in only a few copies a year. It is a full-metal high wing powered by two turboprop engines. It is designed for the transport of up to 19 passengers, cargo or special short and medium distance missions. With Russia and the Soviet Union, the airplane has been linked from the very beginning, just the demands of Aeroflot that its designers 50 years ago tried to satisfy. At the time, the L-410 was the only foreign production and development aircraft used by Aeroflot. Especially because of its ability to take off and land on a short, unpaved area and good performance at high altitudes even at extreme temperatures. In addition to the USSR, aircraft were also supplied to the affiliated countries of Asia, Africa or South America. 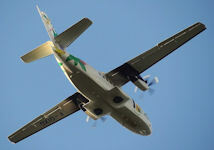 The L-410NG is already a 21st century aircraft, which is most important to potential customers. For example, compared with the L-410 UVP-E20, the maximum takeoff weight is increased by 400 kilograms, allowing some 5 other passengers to take on some long-distance flight modes. Both models are designed for 19 passengers but due to the lower takeoff weight of the previous version, it was necessary to reduce the number of passengers after 500 km as the maximum take-off weight did not allow the takeover of such fuel and people. 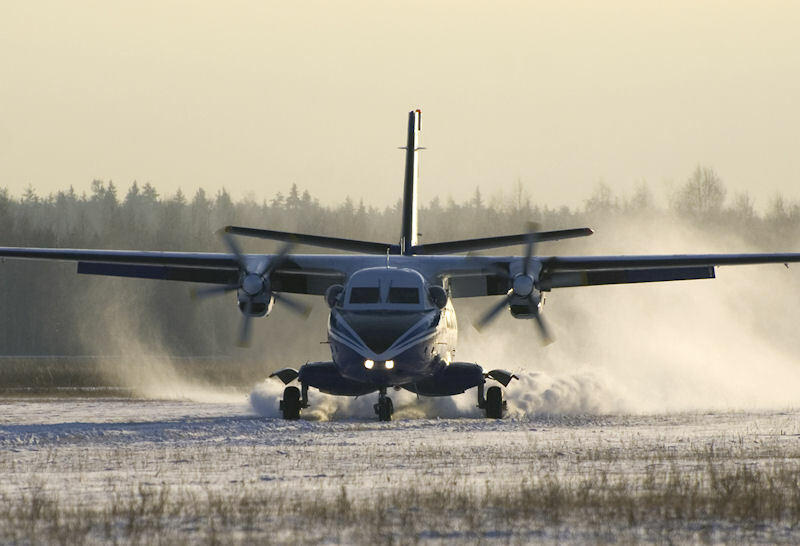 The L-410 NG has a take-off weight of just over 400 km, which reduces the number of passengers from 900 to even 1000 km. This is the real business attractiveness of an aircraft, that is its main advantage. The second advantage is that NG can take more fuel and this fuel allows flying further. If the previous version has a maximum flight distance of 1400km, the new aircraft can fly up to 2500 km. This is a very big difference, it attracts future customers. Many things were taken from the E20, but as far as aviatics and new wings were concerned, everything was worked out again. Previously, they were in the wing of the tank and the wings together with the tanks could take 1.3 tons. The use of a new wing with integral fuel tanks into which the fuel flows directly allowed up to 2.1 tons. And thanks to this, the plane can fly 1000 kilometers further. The third advantage is the modernization of the navigation device. Garmin is the supplier and designer of the navigation device. The aircraft uses a fully digital version called Garmin 3000, the latest scream of navigation mode, so the plane meets the demands of the most demanding customers. The attractiveness of the aircraft for passenger transport is limited in Europe, it is sufficiently compact territory, the road facilities are large, the demand is small. In the Czech Republic L-410 NG does not fly because it is a small country with good roads. By car you arrive in two hours, you fly by plane in an hour. What's the tempting thing about it? The L 410 / L 420 aircraft have been in production for over thirty years with an impressive safety record. Owners and users from different regions of Europe, Asia, Africa and America appreciate the aircraft's remarkable ”hot and high” performance and excellent STOL capability. They especially value its tough and durable structure and the ability to operate under extreme climatic conditions ranging from –50oC up to +50oC. Its durable airframe and unique design offer exceptional performance both in the torrid desert heat of Africa and Latin America as well as the most frigid regions of the world. The L 410 / L 420 aircraft are equally "at home" operating in the Sahara desert or the Siberian tundra. The aircraft has proven consistent and reliable service in an exceptionally wide range of climate conditions, from dusty and dry African savannas to rainy areas of Latin America and from sea level to ”hot and high” mountainous destinations. The aircraft have been successfully operating in many countries and regions all around the world. With its unique undercarriage, the aircraft can operate anywhere, needing just a few hundred meters of airstrip with a minimum strength of 6 kg/sq cm (85 lb/sq. in), i.e. it can land and take off also from rain-soaked short grass airfields. At present, the L-410 can be hit almost all over the world, with dozens flying across Europe. In the past, they were also used on national routes in Czechoslovakia (for example, in June 1972, one of them became the target of a kidnapping, in which the captain perished and which was the work of Mimikra from the series of Thirty Major Zeman's series). Four machines were owned by the Czech Army. The L 410 UVP-E20 aircraft has been certified on the basis of FAR 23 regulation (Amendment 34) and have received the Type Certificates in the Czech Republic, Denmark, Germany, Sweden, Indonesia, the Philippines, Australia, Argentina, Brazil, Russian Federation, Cuba and Chile. After establishing the new European Aviation Safety Agency (EASA) the aircraft also received full EASA Type Certificate valid for all EU (EASA) countries. 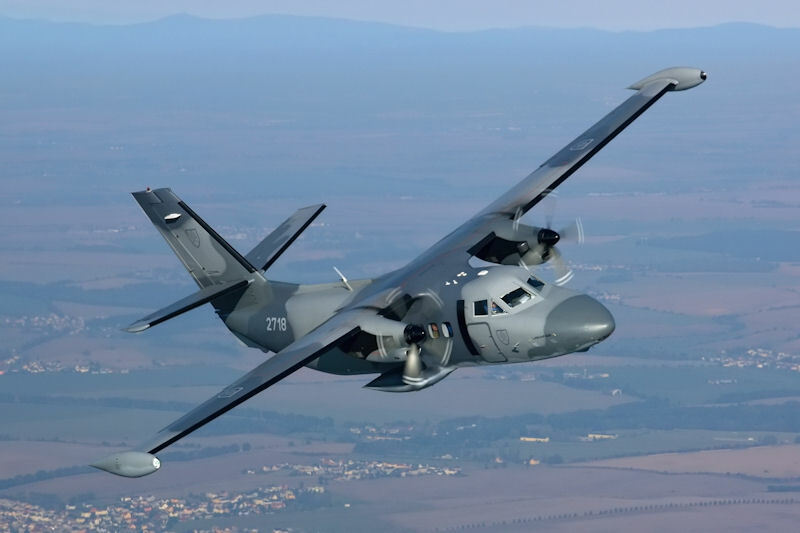 The aircraft has also been approved for operation in a number of other countries, like Algeria, Republic of South Africa, Kenya, Tanzania, Uganda, Tunisia, Colombia, Venezuela, South Korea, India and others. The L 420 aircraft, which is the FAA certified variant of the L 410 UVP-E20 model, has been certified on the basis of FAR 23 regulation (Amendment 41) and have received the Type Certificates in the Czech Republic, USA, Australia and Indonesia and also full EASA Type Certificate. To secure exceptional in flight safety and maximum customer's satisfaction, LET has always been putting great emphasis on a continuous development, a quality of the production and product support. All the current operators enjoy the aircraft’s excellent dispatch reliability, incredible passenger comfort and cost effectiveness as well as the factory’s strong ability to secure and provide timely and comprehensive product support. The L 410 / L 420 aircraft are equally used by air taxi and airline operators as well as by many government agencies all around the world. The wide-body, oval fuselage with 17.9 cu m. (632 cu ft) of passenger cabin volume provides the highest standard of passenger comfort in the standard commuter variant as well as maximum versatility and utilization of the aircraft for a number of other applications and special missions like executive, cargo, fast medical aid, ambulance, paratroops, photogrammetric, maritime patrol and surveillance and others. The L 410 / L 420 aircraft represent ideal technical and best economic solution for short haul air transport of passengers and goods as well as it is an ideal air platform for variety of other special missions like VIP, Air Ambulance, Patrol and Surveillance, Photogrammetric, Paratroop and others. The Czech L-410 aircraft are assembled in the Ekaterinburg plant in Russia on the basis of the Aircraft Industries contract with Ural Civil Aviation (UZGA), which is a 100% owner of the former Kunovice company since 2013. The agreement for cooperation with UZGA was signed by the Russian owner of the Kunovice firm in July 2015. Chief Executive Officer Vadim Badech said he was preparing to build a new assembly operation to ensure a stable supply of aircraft to the Russian Federation. 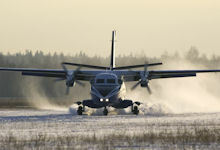 The departments of the Kunov company, Aercraft Industries, which manufactures the L-410 aircraft, have long been concerned about the shift of machine production to Russia. According to them, the Russian owner of the company was seeking a move. In June 2016 Russia's Ministry of Industry and Trade specified plans for adding local content to the production of L-410 twin-engine turboprop at the Yekaterinburg-based Ural Works of Civil Aviation (UWCA). The plans called for partial replacement of avionics with Russian-made equipment by 2017. , with further complete replacement of the avionics suite planned for 2019. Also in 2019, the Russian producer also plans to introduce modification to the landing gear. By 2020 the ministry also expects to replace the GE H80-200 with a Russian engine. 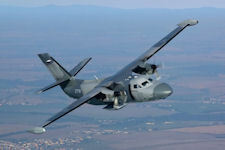 The Russian Ministry of Defense will buy 18 L-410s of Czech origin, designed for the needs of special forces of the army. During a visit to the Yekaterinburg assembly plant on Monday, Deputy Defense Minister Yuri Borisov said 25 December 2017. The army wants aircraft to adjust for difficult climatic conditions. "We have a firm contract for 18 aircraft. We plan to use modifications for landing on the water and on the snow for the needs of special operations operations," Borisov said. Ural Works of Civil Aviation (UWCA), part of Oboronprom, launched construction of a new production facility for the L-410UVP-E20. The project should be completed in 2017, and the company expected to build the first six aircraft that same year. The new facility will be capable of producing 12 aircraft per year, starting in 2019. Eventually, the number may be increased to 20 aircraft. Khabarovsk Airlines will consider Let L-410 aircraft carrying 19 passengers for the replacement of Antonov AN-24 [24-50 passengers] and AN-26 [38-40 passengers] aircraft by 2020, as part of a fleet modernisation program, as confirmed by commercial director Maksim Kharin (Khabarovsky Krai Segodnya, 24-Jul-2017). On the territory of Russia, the airplane is valued mainly for the possibility of landing on untreated areas. The L-410 is able to land even on grass. A very popular version is parachuting, the aircraft is very well adapted for paratroopers. Worldwide, parachutists see it as one of the best. It has a very comfortable door, no need to bend, nothing to hinder. It is very stable.